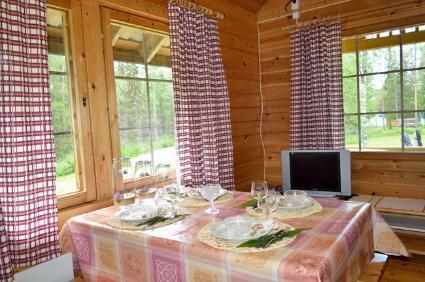 Log cabin 100 km west from Rovaniemi, on border of Pello  Ylitornio, wilderness lake Pahtajärvi 110 m (length 1,8 km, width 500 m) which is rich in fish. Rowing boat, good shore for swimming. Open kitchen, living room, sleeping alcove with (narrow) double bed, sleeping loft (18 m²) with 4 mattresses, toilet, porch. 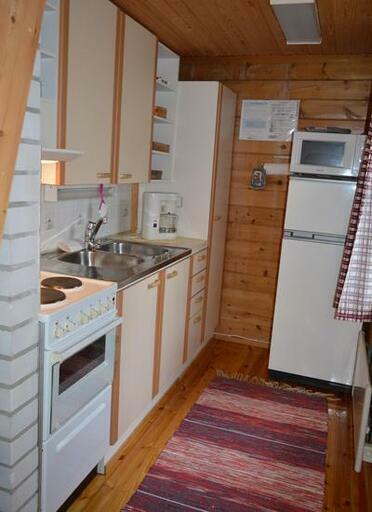 Separate lakeside sauna (10 m²), with dressing room. 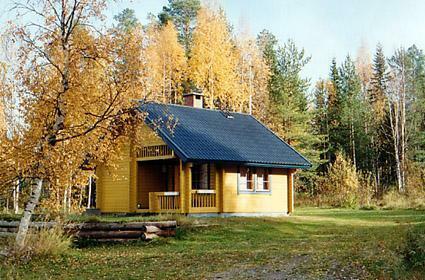 Sauna is in shared use with cottage Riekko. Only 1 pet allowed to bring, please inform about the pet when making the reservation. Four-cottage village, but each cottage has its own quiet location. Shore faces west. Yard is flat and grassy. Grill hut, swing and trampoline for children in shared use for 4 cottages. 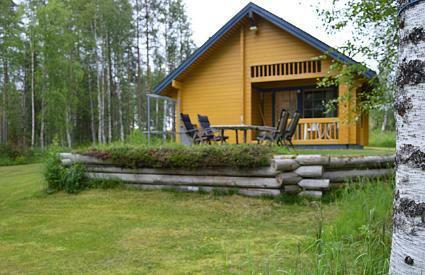 Cottage is suitable for people who appreciate peace and quiet of nature. Rowing boat for rent 35e/day (inquiries from owner). 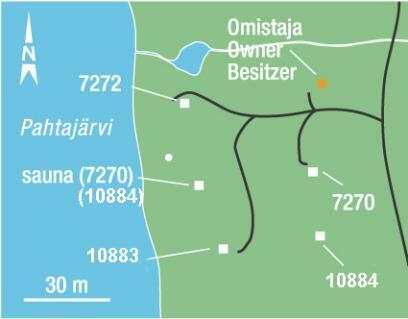 Airports Rovaniemi and Kemi 110 km, Aavasaksa 37 km, River Tornionjoki 40 km, Rovaniemi 100 km, Sweden 40 km.